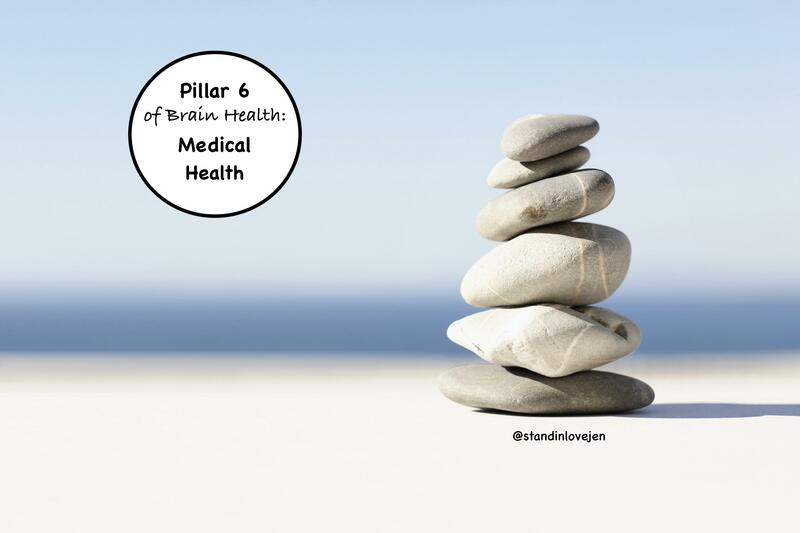 Congratulations for making it to the 6th Pillar of Brain Health! Your brain is an amazing supercomputer, and my goal of sharing this 6-part series with you is to inspire you to think differently, challenge you to question the origin of your thoughts, encourage you to replace a habit that is no longer serving you, and to open up your mind to the endless possibilities this life has to offer right now if you simply allow your mind to accept the invitation. Did you know your subconscious mind controls nearly 90% of your thoughts? I recently attended a mind-challenging Breakthrough Belief Training with master NLP practitioner Roger Webb and this point stuck in my head: Your subconscious mind is a genie who says, “Your wish is my command” to every thought we feed it. Translation: Be mindful of your thoughts, because your subconscious mind will happily and automatically capture them and respond with “Your wish is my command!”. Make your thoughts work for you, not against you! #yes #youcan. If you are joining Stand In Love for the first time, welcome! We are SO glad you joined the community! Over the past 5 weeks we have been exploring the Cleveland Clinic’s 6 Pillars of Brain Health learning tools to support our 3 pound universe. While today is the final post in this particular series, I challenge you to go back and commit to considering a tiny behavior change in any one of the pillars! Stand In Love tip: Try using essential oils like Ylang Ylang to help reduce the affects of daily stress and provide antioxidant support. * Massage a few drops onto the back of your neck or rub directly over the heart. Bonus: this intense and incredibly complicated oil is part of a co-impact sourcing initiative helping create capacity for farmers and distillers in Madagascar! My husband enjoys this oil daily! Stand In Love tip: Try Slim & Sassy- the Metabolic Blend to help you manage hunger cravings, promote healthy digestion, and calm your stomach. * I like to place a few drops in water daily to help manage undesirable cravings. (I am an emotional eater, so this is SUPER helpful for me, and I think you will find the same to be true if you or someone you know struggles with this.) More on this topic in future posts, I can’t wait! • Control other risk factors like hypertension, diabetes, and obesity as advised by your doctor. Stand In Love tip: Consider supplementing to get the proper nutrition, vitamins, minerals, essential fatty acids, and antioxidant support commonly missing in the standard diet–even one that is based primarily on whole foods. My husband and I have been using the Life Long Vitality program for over a month now and are enjoying the multitude of health benefits including increased energy, and an overall sense of wellbeing. Truly amazing how supporting your body from the inside-out effects everything you do! Stand In Love tip: Try one of the Emotional Aromatherapy oils. I absolutely ADORE these oils as they contain proprietary blends that target emotional health benefits. Safe for the entire family and daily applications. The best part of these oils is that they help balance and brighten your mood and help you change your state of mind. Available in a convenient roll-ons diluted with fractionated coconut oil for easy on the go application, or in pure essential oil 5ml bottles. I like to wear Peace- the Reassuring Blend daily as perfume. Once you try these oils, you will have a hard time returning to perfumes or artificial scents. They are truly gifts of nature for our enjoyment! The collection contains Cheer, Motivate, Peace, Console, Forgive, and Passion: They are expertly combined blends to support specific emotional needs. (Did I stress how much I LOVE these oils?). Did you know that your brain actually changes when you learn something new or try something different? Watch this super short 11 second video below to see for yourself! This is neuroplasticity in action! How cool is that? Simply changing a habit or finding a new way of thinking actually creates new neural pathways in your brain and is GOOD for you! Please allow me to repeat this: Switching the way you think, the way you work, the way you eat, the habits you have allowed – can all be changed, AND are good for your brain! Behavior change is a SKILL and you can acquire it! Want to know your brain health, take this quiz to find out! Jennifer Miller is a Las Vegas based writer, doTERRA wellness advocate, and business coach for global NGO BeadforLife. Her passions include: serving people, inspiring ideas, and helping others live their purpose. For more inspiration on beginning your essential oil journey, click here.